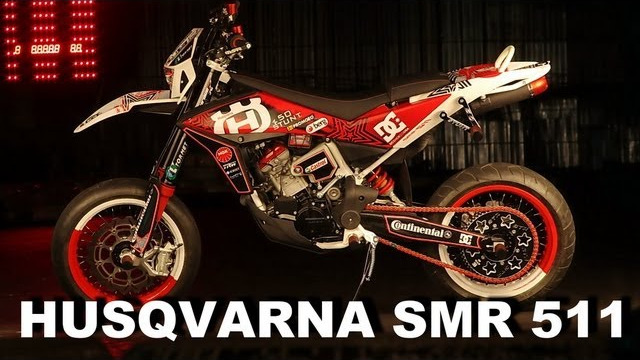 Recently, Marat Kankadze became the rider of Husqvarna. He was provided with two identical new SMR 511, which Marat made in his own style: functional, high-quality, and beautiful! As you have guesses already, here is the next stunt masterpiece made by national masters! 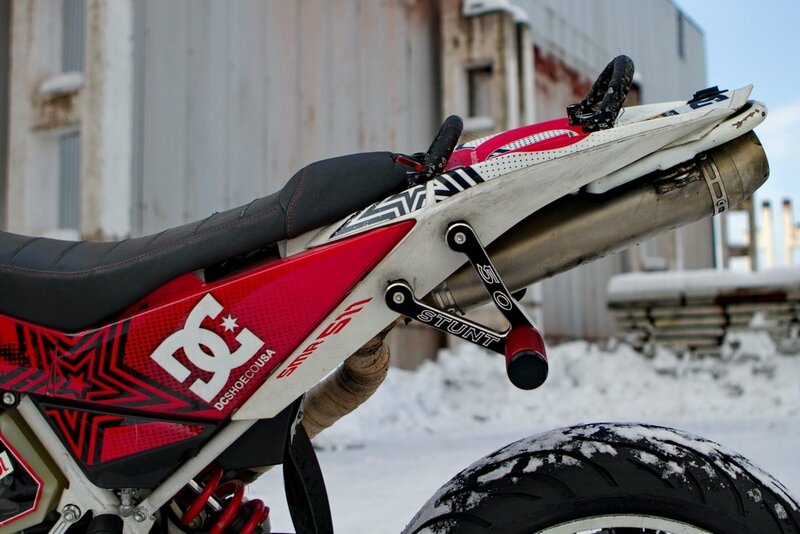 This bike is a ready-made motard, which greatly facilitates its preparation for stuntriding. 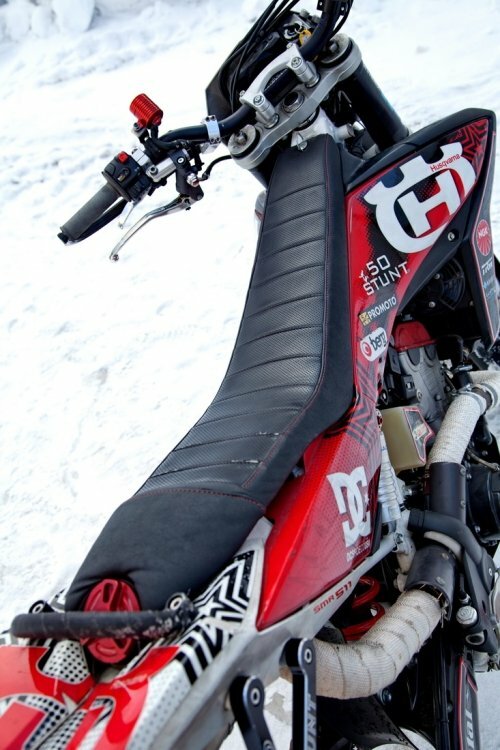 In this project, Marat applied some unique ideas and solutions, and also improved many things compared to the previous Honda crf450. 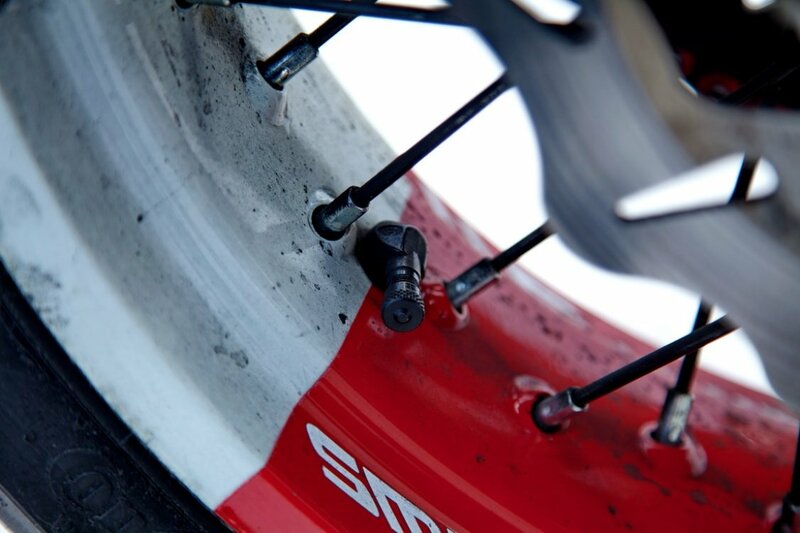 The main protection is drivers and passenger's pegs in the axles of the wheels. 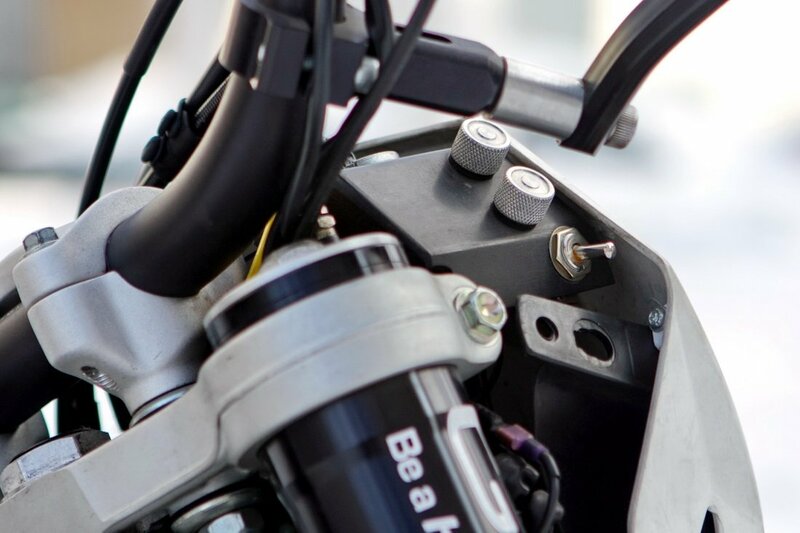 The controls are protected by aluminum arcs used in motocross. 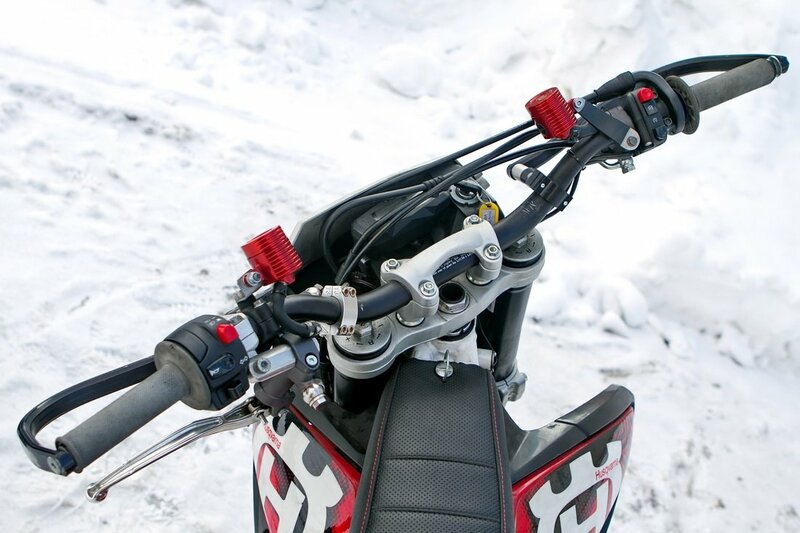 Also, the motorcycle is protected by a wide, reinforced Fatbar handlebar. 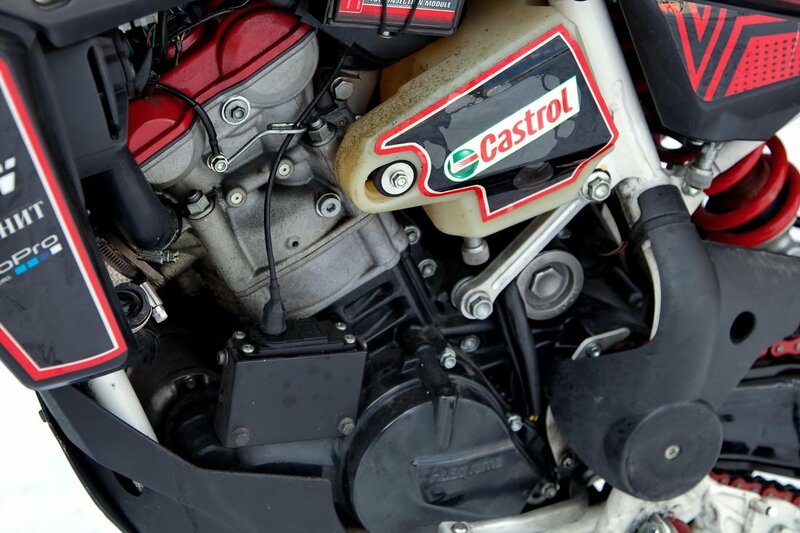 Marat decided not to set the cage: there is no need for it on motorcycles of this class. 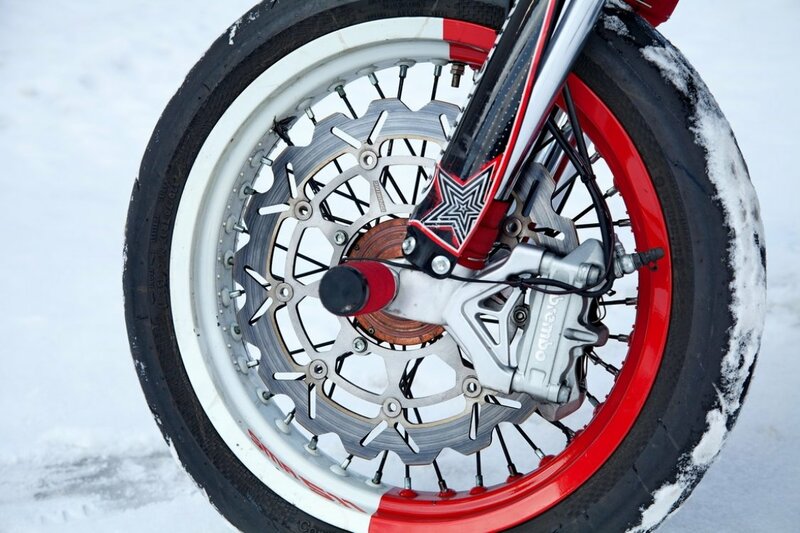 Marat uses an independent system with a stock brake disc and a bracket for two calipers. The caliper is the two piston one from Honda cb400. 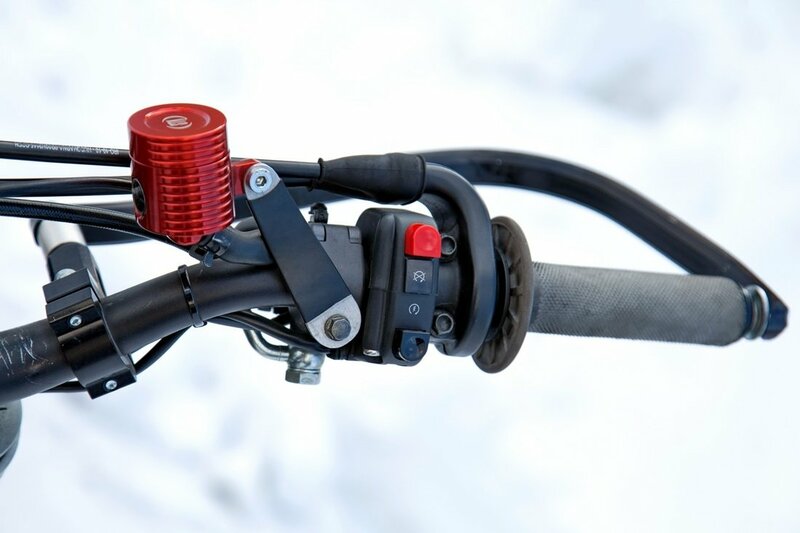 A left-sided Magura 13 mm is used as the master cylinder. 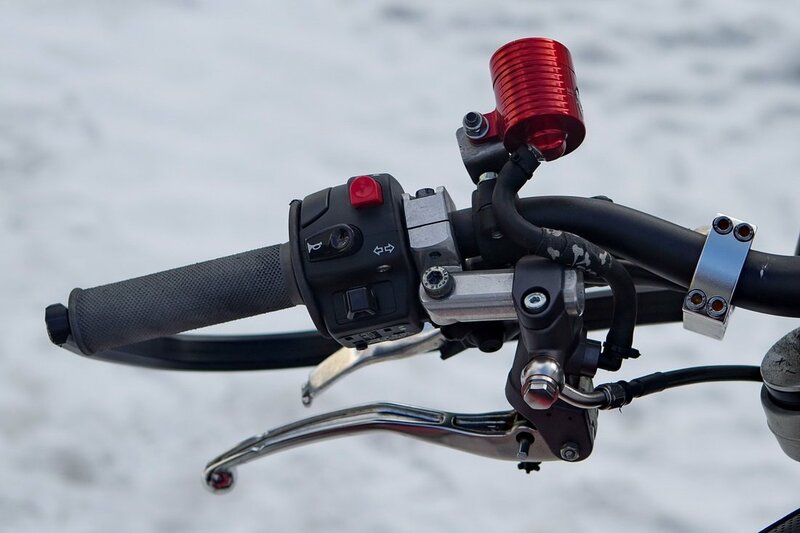 Considering that it is very difficult to place a handbrake and clutch machine on the handlebar, keeping the left control, a special unique mount was created. This mount has adjustments that allow you to set the machines one to the other. Another important modification is putting the muffler under the tail (in stock it is located on the side), where it is fully protected. 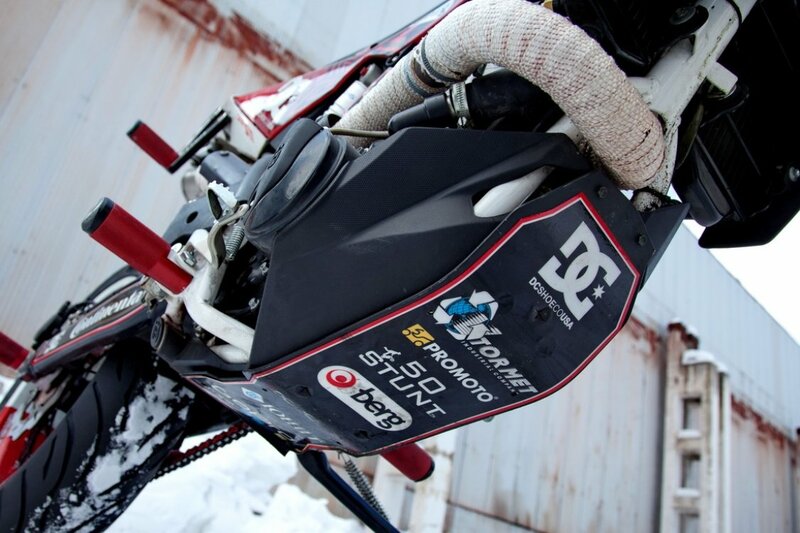 It also allows you to install passenger pegs, which are necessary to perform many stunts. Since direct flow was installed, Marat had to install and configure PowerComander. The muffler collector is wrapped in a heat-resistant tape entirely, so as not to burn yourself if you touch it with your foot. Stock subframe was replaced with a steel one. Marat didn't want the round bar frame and made a roundbar to preserve the stock look of the motorcycle as much as possible. 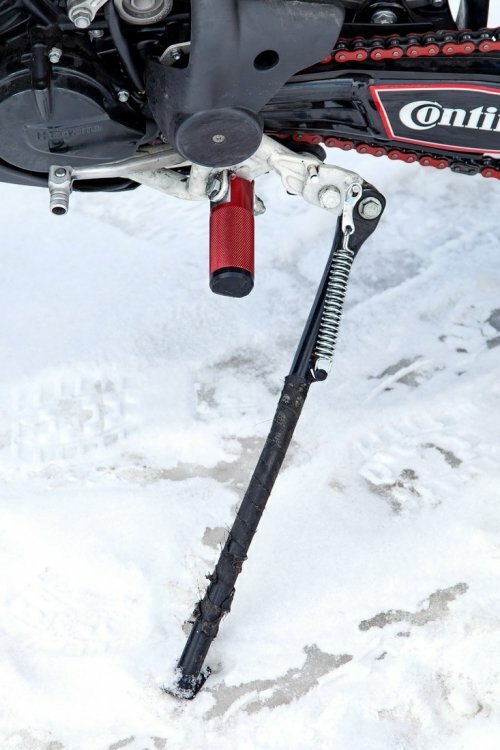 Hooks with anti-slip cover were installed so that you could move along the tail while performing a trick. In stock, the bike is equipped with good brakes, so nothing had to be added. Marat put aluminum tanks with plastic metal mounts. When falling, the mounts bend and tanks remain intact, which is very important to continue the ride. Stock master cylinder Brembo was replaced by the Magura one, because Magura has more adjustments. The size of the cylinder remained the same - 13 mm. A useful thing for timely technical inspections and keeping track of training time. 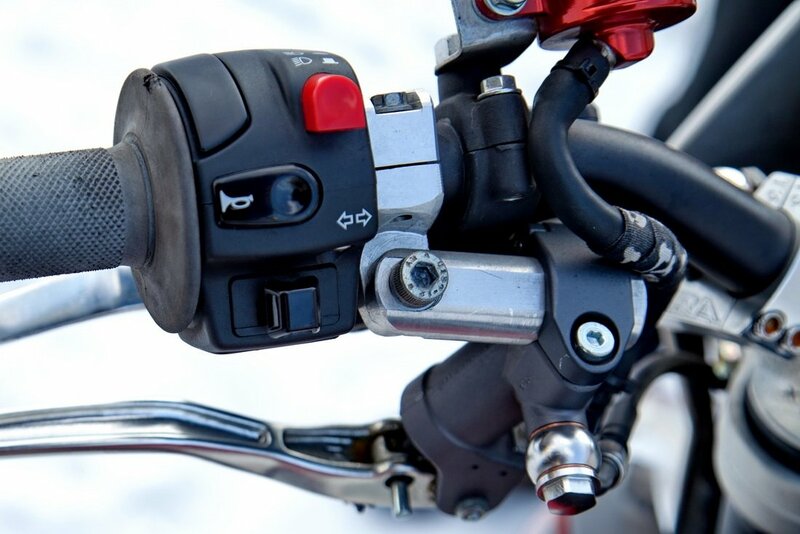 The turn signal switch on the left hand control drives the idling change drive and has two modes: left and right. When you turn off the turns, the speed drops to idle. 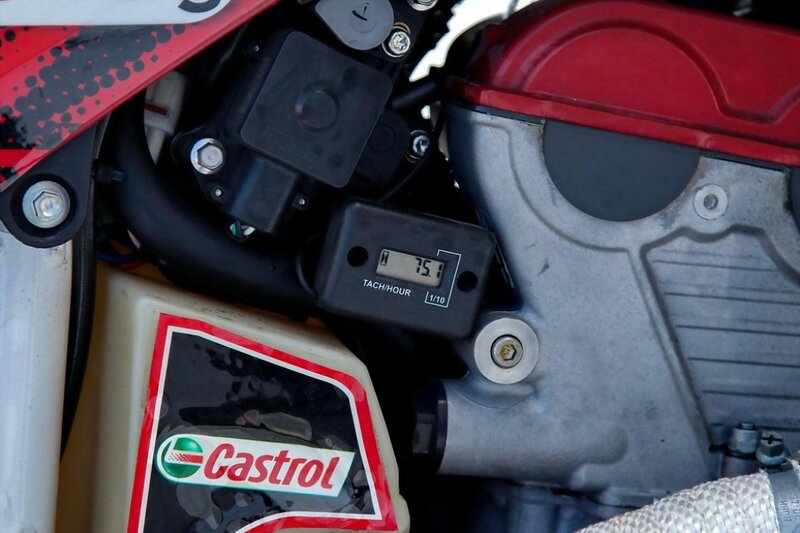 On the board at the headlamp there is precise adjustment idle for each mode. Thus, it is possible to raise and lower turns quickly and conveniently. The saddle is made in such a way so that the rider could do stunts while standing. There's an overhang in the back. 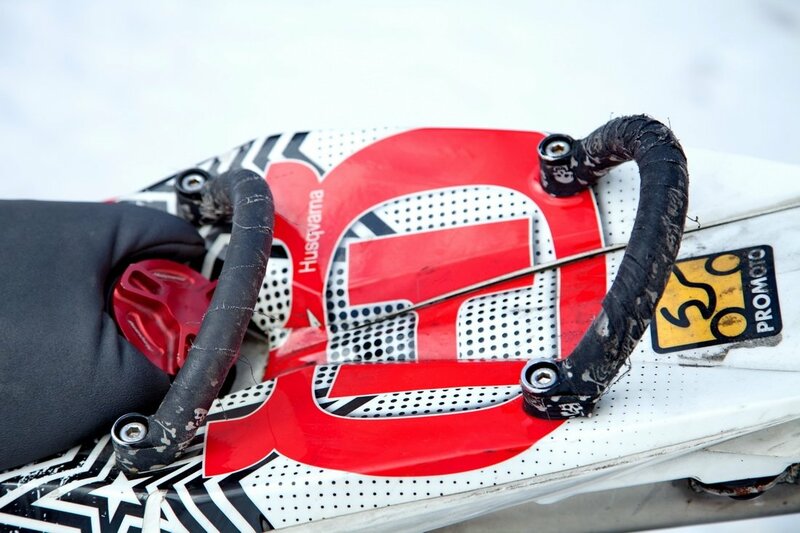 The saddle has a transverse track for a better grip and is covered with tenacious material. The stock stand could not be flicked out on the move, as it thrusted against concrete. Therefore, the angle has been changed! 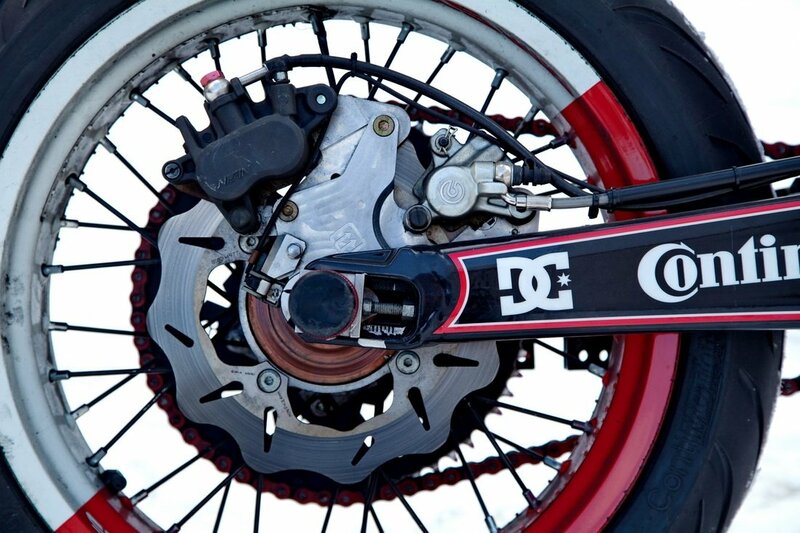 A 60-tooth-sprocket with a unique design was set. A second radiator was set. 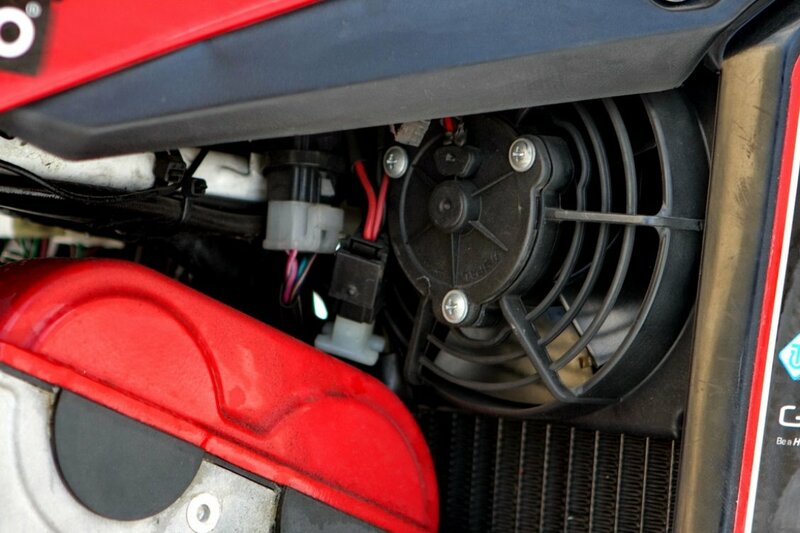 From time to time it is necessary to change the pressure in the wheel, such valves save time and allow you to quickly connect the pump. There is a selfmade protection for placing sponsors' logos that look cool when doing wheelies. The motorcycle has an exclusive design. The wheels are repainted in two colors. Plastic is covered with vinyl graphics. The pendulum is painted black. The backlight is installed on the bike, which looks very cool when riding. Many thanks to Marat for sharing all the secrets! 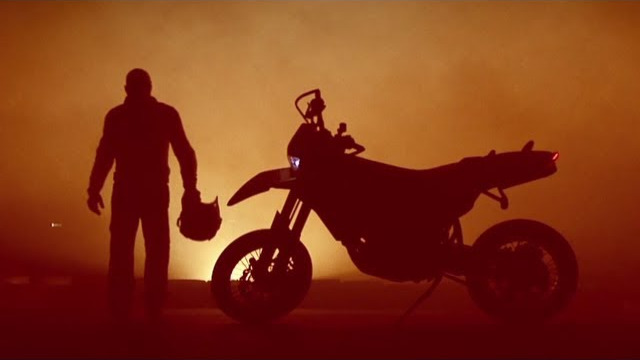 The motorcycle seems perfect, but we are sure that this is more to come!